I first read On Writing Well as a college student 26 years ago, and because I was a photojournalism major, I remember being impressed by what amounted to my first "writer's book. "Zinsser knows how to craft a sentence and make a point, and the overall impression is one of being taught by a patient, gray-haired professor. On Writing Well is aimed squarely at non-fiction writers (not surprising given Zinsser's newspaper background), and I'd suggest it's still an ideal primer for new writers. 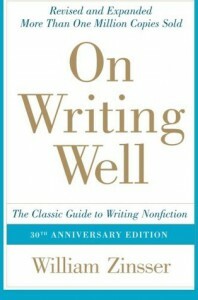 Initially published in 1976, On Writing Well was reissued in a 2006 "30th Anniversary Edition" which included a new section on writing memoirs.Overall, this book has aged fairly well (good writing is still good writing), though writers nowadays are facing new challenges, and you won't find answers to those issues here. Those looking for step-by-step guides to getting published won't find what they want here. 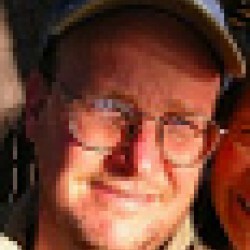 Instead, Zinsser has written a nice, patient, intelligent book about writing better. It's a classic and for good reason, though it is starting to show some wear around the edges.